Best News So Far? Consumers' Holiday Spending Tops Pre-Recession Level : The Two-Way The word late yesterday from MasterCard Advisors' SpendingPulse that consumers spent 5.5 percent more this holiday season than in 2009 is one of the strongest economic indicators in months. Dec. 14: Heading home after shopping in Manhattan. The word late yesterday from MasterCard Advisors' SpendingPulse that consumers spent 5.5 percent more this holiday season than in 2009 is perhaps one of the best economic indicators we've had in months. "In the face of 10 percent unemployment and persistent housing woes, the American consumer has single-handedly picked himself off the mat, brushed his troubles off and strapped the U.S. economy on his back," Craig R. Johnson, president of the consulting firm Customer Growth Partners, tells The New York Times in an e-mail. Prior to MasterCard's report, the Associated Press was noting that "revenue for the holiday season is on track to grow at its strongest rate since 2006. 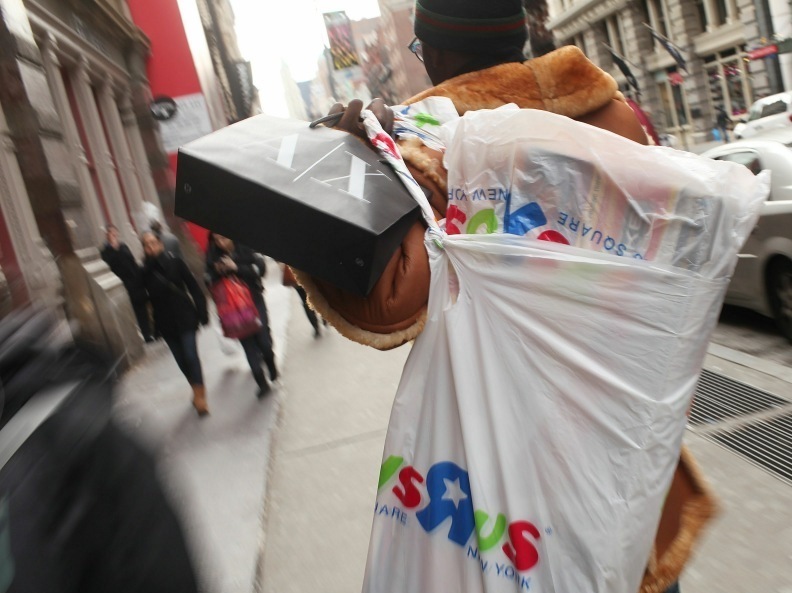 Total spending for November and December could exceed 2007 sales -- the best season on record. This despite an uncertain economy and a rise in thrifty habits." There's going to be another important indicator released today at 10 a.m. ET, when the private Conference Board releases its December consumer confidence index -- a measure of how hopeful consumers are about the way things are going.